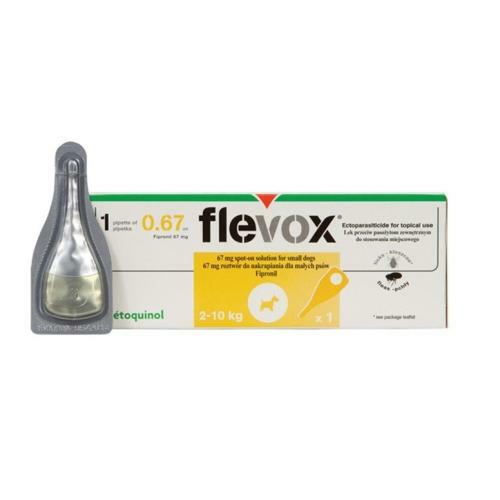 Flevox Spot-on for Dogs is for the treatment of flea and biting/chewing lice infestations in dogs. Flevox for Dogs is also for the prevention of ticks, and can be used as part of a treatment strategy for Flea Allergy Dermatitis, where this has been previously diagnosed by a veterinary surgeon. For the treatment and prevention of adult fleas use every 8 weeks. Easy to use pipette containing 2.68ml solution to be applied topically to skin between the shoulder blades.